Freshpints.com: A 100% chance of rain. 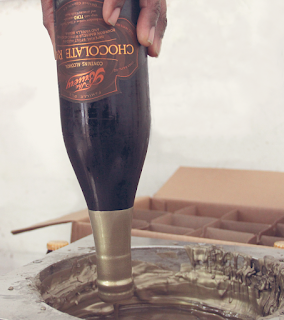 Details on the first ever public release of Chocolate Rain from The Bruery® this March. A 100% chance of rain. 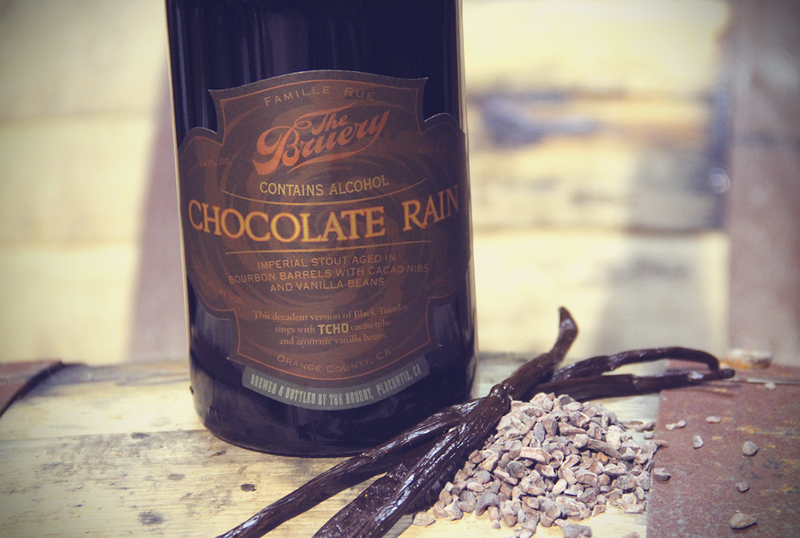 Details on the first ever public release of Chocolate Rain from The Bruery® this March. (ORANGE COUNTY, CA) - Chocolate Rain began as a single cask of beer at the first Black Tuesday release event at The Bruery in 2009. For nearly two years, the legend and pent up demand for this revered imperial stout, aged in bourbon barrels with cacao nibs and vanilla beans, continued to grow. In 2011, that enthusiasm was bottled up, wax-dipped and released exclusively to members of The Bruery Reserve Society. The Bruery has since drizzled Chocolate Rain to members of its beer Societies over the years. In 2017, there’s not only a chance of rain in select circles. In fact, this March, it’s going to pour for all. Today, The Bruery is releasing details on the first ever public release of Chocolate Rain, taking place on Friday, March 24, 2017. Chocolate Rain is a decadent bourbon barrel-aged imperial stout, featuring cacao nibs from TCHO and fresh vanilla beans. Rich in chocolate, vanilla, oak and bourbon, it truly puts the "imperial" in imperial stout. The 2017 edition is 19.6% ABV. An ideal beer to share, it pairs rather well with cacao nib gelato, Sartori Peppermint BellaVitano cheese, roasted pecans, cocoa chili-rubbed tenderloin and a memorable song. Over a year in the making, each 750-ml. bottle is wax-dipped and retails for $39.99. Members of the company’s Reserve Society and Hoarders Society will enjoy early, guaranteed access - and the highest number of bottles available to them for purchase, at their Society discount - during an allocations period that begins on Monday, March 6. Members of the Preservation Society will enjoy guaranteed access to three bottles of Chocolate Rain (2017) starting on Tuesday, March 14. Space is currently available to join the Preservation Society if you don’t want to leave your acquisition of this limited release to chance on the day of the public sale. Mocha Wednesday (2017) - our bourbon barrel-aged imperial stout with coffee and cacao nibs. Beret with Peaches and Vanilla - an imperial sour witbier with spices aged in oak with raspberries, peaches and vanilla from Bruery Terreux. Details subject to change. Check the blog post for additional details and updates as the public release of Chocolate Rain on March 24 draws nearer. Founded in 2008, The Bruery is a small, innovative craft brewery located in Orange County, CA that is family-owned and operated with CEO, Founder, and Master Cicerone® Patrick Rue at its helm. The Bruery produces barrel-aged and experimental beers, while Bruery Terreux®, launched in 2015, focuses on fermenting beer with wild yeasts and souring bacteria. The Bruery offers three different tiers of Society memberships, each with their own level of access to limited release beers, discounts on purchases, Tasting Room perks, and access to Society-exclusive events and merchandise. Additional information is available at thebruerystore.com/membership.